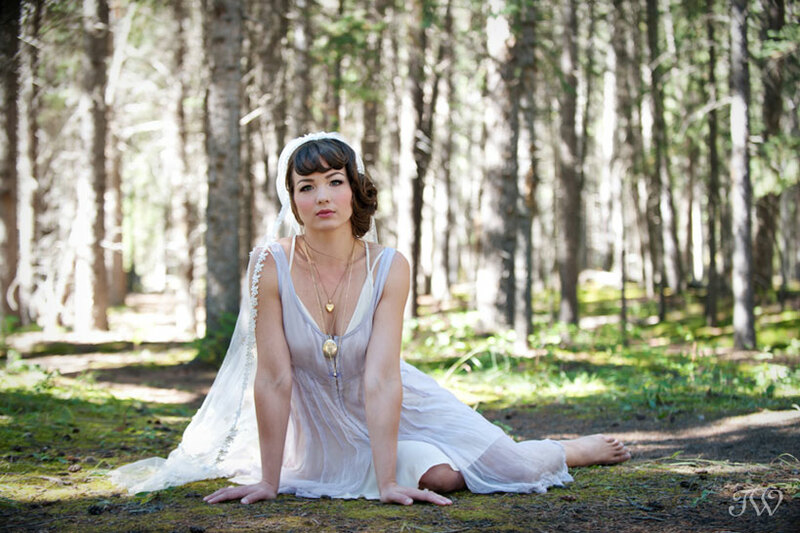 This is a sneak peek from a Banff bridal shoot earlier this week featuring exquisite wedding veils from A Vintage Affair in Calgary. To keep the focus on the veils, our model Anastassiya wore pretty slips and lounge wear, rather than traditional wedding gowns. The result are feminine and well…breathtaking. 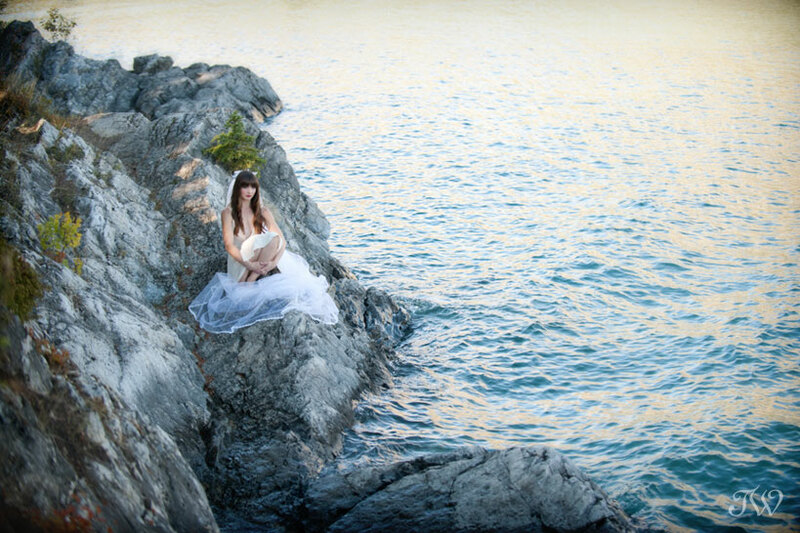 We shot at two location around Banff, including majestic Lake Minnewanka. Stay tuned in the coming weeks for more from our gorgeous day in the Rockies. Select jewellery: Adorn Boutique in Inglewood (lockets are from a personal collection).